Kronos: A Journal of Interdisciplinary Synthesis published articles on a wide range of subjects as diverse as ancient history, catastrophism, mythology, and Vellikovsky’s ideasMcAulay, R., “Velikovsky and the infrastructure of science“, Theory and Society (1978) 6:313. doi:10.1007/BF01715454. It ran 44 issues from the Spring of 1975 to the Spring of 1988Michael D. Gordin, The Pseudoscience Wars: Immanuel Velikovsky and the Birth of the Modern Fringe, “Chapter 6: Strangest Bedfellows”, University of Chicago Press, 2012, ISBN 0226304426, 9780226304427, 291 pages (page 188). The title is an homage to the Greek name for the Roman god Saturn whose planetary namesake Velikovsky believed Earth once orbited as a satellite. 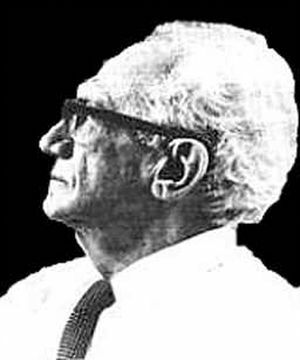 The Journal was not only influenced by the work of Immanuel Velikovsky,Kronos: A Journal of Interdisciplinary Synthesis. Vol.1 No. 1 (Spring 1975) “Editorial Statement”. ISSN: 0361-6584 it was “founded, with no apologies, to deal with Velikovsky’s work”; Greenberg, Lewis M. (1993). Of Ponderosas and Heinekens. Aeon, 3 (2), 82. but as noted by then Professor of Social Theory Alfred de Grazia at New York University, and co-author of The Velikovsky Affair, “This is not to say that the directors of Kronos were uncritical”Alfred de Grazia, Cosmic Heretics, “Ch. 5. The British Connection“, October 1984, Metron Publ. 397pp. ISBN-10: 0940268086 . The journal was published by Kronos Press, a division of Cosmos and Chronos (a US-registered 501(c) organization). Its subscription list grew to about 2000Waldron, Ann (1980). “Velikovsky Lives!” Science Digest Special, Sept/Oct, p. 94. and then settled to about 1500 people from 10 countries.Henry H. Bauer, Beyond Velikovsky: The History of a Public Controversy, (1984) University of Illinois Press, ISBN: 0-252-011-4-X. This book is described as “A very valuable contribution to the literature on a major controversy” by NASA Institute director Robert Jastrow, and, “Bauer’s remarkable book will be viewed, even by Velikovskians, as a great improvement over previous critical studies” by (Prof) Marcello TruzziIbid. gordin 2012 Actually, in 1980 the United States and Canada accounted for 93% of circulation with the balance in 20 foreign countries.Subscriber List in archives of C. Leroy Ellenberger. These statistics were not available to Bauer who restricted his research to public information. Both issues concern the criticism of Velikovsky by scientists at the 1974 AAAS meeting in San Francisco (Mon Feb 25, 1974) in a session “Velikovsky’s Challenge to Science”American Association for the Advancement of Science, 140th Annual Meeting, Feb 24 – Mar 1, 1974, p.23, whose papers were subsequently published in the book Scientists Confront Velikovsky (1977)Donald Goldsmith (ed), Scientists Confront Velikovsky, Cornell University Press (1977), ASIN: B000IOYTSW (with exception of the papers from Velikovsky himself and Irving Michelson, and additional papers by the editor, Goldsmith, Isaac Asimov and David Morrison). Kronos was founded in October 1974, by (1) then Associate Professor of Art History Lewis M. Greenberg of the Moore College of Art (Philadelphia), whose title was Editor-in-Chief, (2) with financing, production, and management being coordinated by then Associate Professor of Religion Warner B. Sizemore at Glassboro State College as Executive Editor, and (3) by then Professor of History Robert H. Hewsen at Glassboro State College as the first Senior Editor who was also Director of the Center for Velikovskian and Interdisciplinary Studies at Glassboro State College.”A Center for Velikovskian and Interdisciplinary Studies”, Kronos Vol. I No. 1 (Spring 1975) With the completion of volume XII in May 1988, the Editor-in-Chief announced “KRONOS will go on hiatus with the expectation that a publication schedule can be resumed some time in 1990.”Greenberg, Lewis M. (1988) KRONOS, 12 (3), inside front cover. The hiatus became permanent with Greenberg later affiliating in various editorial capacities with AEON and The Velikovskian while continuing to manage KRONOS Press with its short list of monographs. Robert W. Bass (Ph.D., Johns Hopkins), Rhodes Scholar, Professor of Physics and Astronomy, Brigham Young Univ., Provo, Utah: Senior Editor. Lewis M. Greenberg (M.A., A.B.D., Univ. of Pennsylvania), Associate Professor of Art History and Chairman of the Dept. of Art History and Social Sciences, Moore College of Art (Philadelphia): Editor-in-Chief. Richard F. Haines (Ph.D., Michigan State Univ. ), Research Member of NASA Ames Research Center (Mountain View): Associate Editor. Robert H. Hewsen (Ph.D., Georgetown Univ. ), Professor of History, Glassboro State College (Glassboro, N.J.): Senior Editor. Peter J. James (B.A. – Hons. – Birmingham Univ. ); Archaeologist and Assistant Editor of the SIS Review: Senior Editor. Frederic B. Jueneman (B.A., San Francisco State Univ. ), Director/Research, Innovative Concepts Associates (San Jose, Calif.): Associate Editor. Ralph E. Juergens (B.S., Case-Western Reserve), Civil Engineer (Flagstaff, Arizona): Senior Editor. David Lorton (Ph.D., Johns Hopkins), Egyptologist, Associate Research Scholar at the Johns Hopkins Univ. : Associate Editor. Earl Milton (Ph.D., Univ. of Alberta), Spectroscopist, Associate Professor, Dept. of Physics, Univ of Lethbridge (Alberta): Associate Editor. Alan Parry (Ph.D., Univ. of California, Berkeley and the Graduate Theological Union, Berkeley), Head of the Univ. Counseling Centre, Univ. of Lethbridge (Alberta): Associate Editor. A. Mann Paterson (Ph.D. SUNY-Buffalo), Professor of Philosophy, SUNY-College-Buffalo: Associate Editor. C. J. Ransom (Ph.D., Univ. of Texas, Austin), Physicist, General Dynamics Corp. (Fort Worth): Senior Editor. Lynn E. Rose (Ph.D., Univ. of Pennsylvania), Professor of Philosophy, SUNY-Buffalo: Senior Lditor. Warner B. Sizemore (M.A., Temple Univ., B.D., Lincoln University), Assistant Professor of Religion, Glassboro State College: Executive Editor. Raymond C. Vaughan (B.S., SUNY-Empire State College), Research Technician, Graphic Controls Corp. (Buffalo): Associate Editor. John D. Waskom (Ph.D.. University of North Carolina at Chapel Hill), Professor of Geology, Northwestern State Univ. of Louisiana, Natchitoches, Louisiana: Associate Editor. Irving Wolfe (Ph.D. Univ. of Bristol, England), Associate Professor of English at the Université de Montreal: Senior Editor. 4. ↑ Greenberg, Lewis M. (1993). Of Ponderosas and Heinekens. Aeon, 3 (2), 82. 6. ↑ Waldron, Ann (1980). “Velikovsky Lives!” Science Digest Special, Sept/Oct, p. 94. 9. ↑ Subscriber List in archives of C. Leroy Ellenberger. These statistics were not available to Bauer who restricted his research to public information. 13. ↑ Greenberg, Lewis M. (1988) KRONOS, 12 (3), inside front cover.